Description: The following watches are all gold filled. A. Elgin 7 jewel 16 size pocket watch. This watch winds, sets and runs. There are a few cracks on the face. This watch also comes with a simple watch chain. B. Elgin 15 jewel gold filled hunter pocket watch. This is a non-running pocket watch with a few dings and dents. 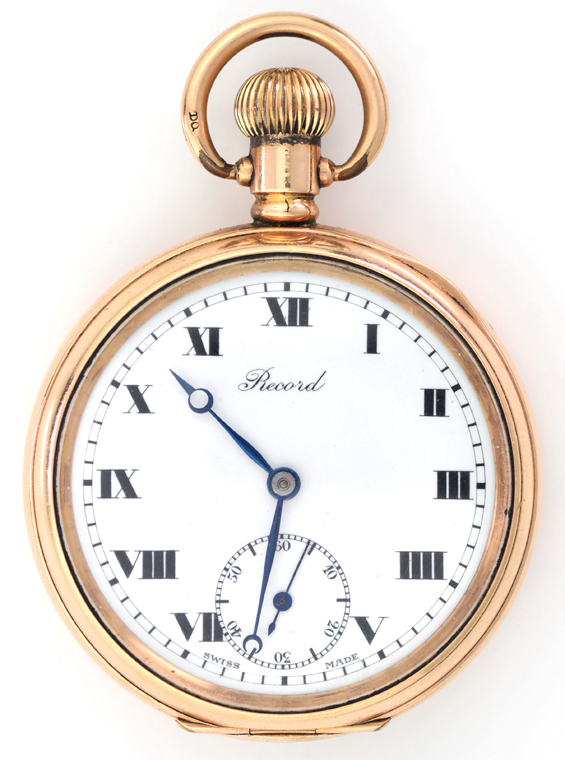 C. Record 15 jewel gold filled pocket watch. This is a nice looking watch that winds, sets and runs. D. Elgin Shockmaster 17 jewel gold filled watch. This watch has a clean face and crystal that winds, sets runs. 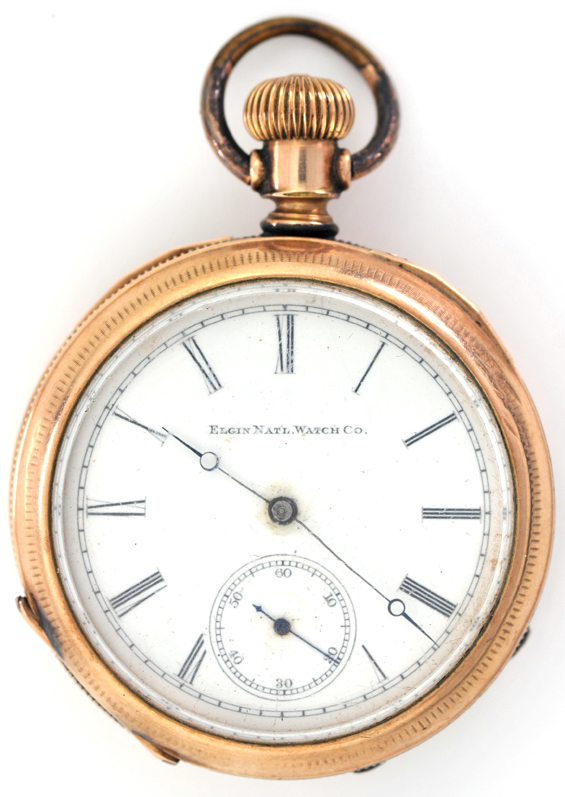 E. Elgin National Watch Co. 7 jewel pocket watch. This is a non-running watch that shows some wear on the case. 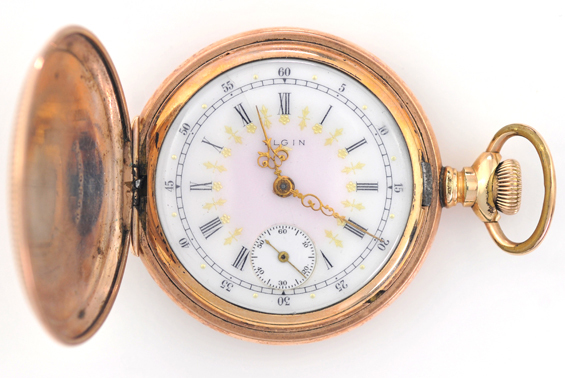 F. Elgin ladies 8 size pocket watch with a pretty pink and white face. This watch winds, sets and runs, but not very well. 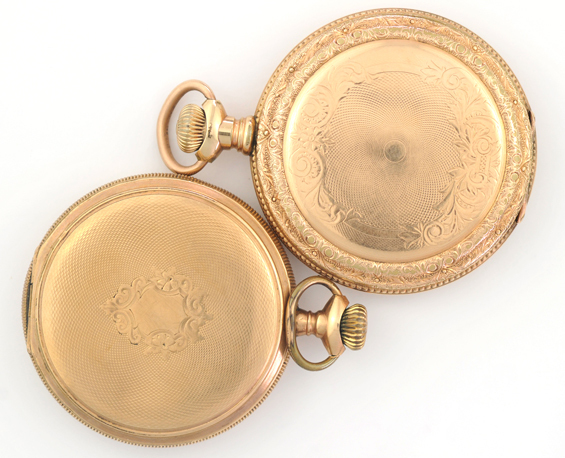 G. Hampden Watch Co. 7 jewel gold filled pocket watch. The crystal is clean, but the face has come cracks and some areas are worn off on the case. 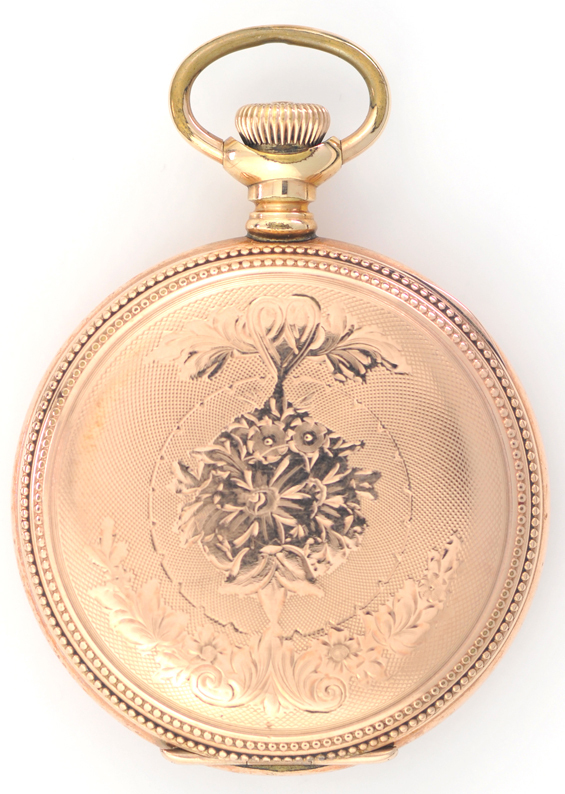 H. Elgin 7 jewel gold filled hunter case pocket watch. This watch has a nice face, but no crystal. I. Elgin 7 jewel gold filled 18s hunter case gold filled pocket watch. This watch has a nice case, face and crystal that winds, sets and runs.